But entrepreneur John Vaccaro did just that. And Wall Street bankers are snapping them up like they’re the hottest deal in town. A New York Post report explained that Vaccaro got hold of Madoff’s no-longer-needed garments at an auction of the disgraced financier’s assets. 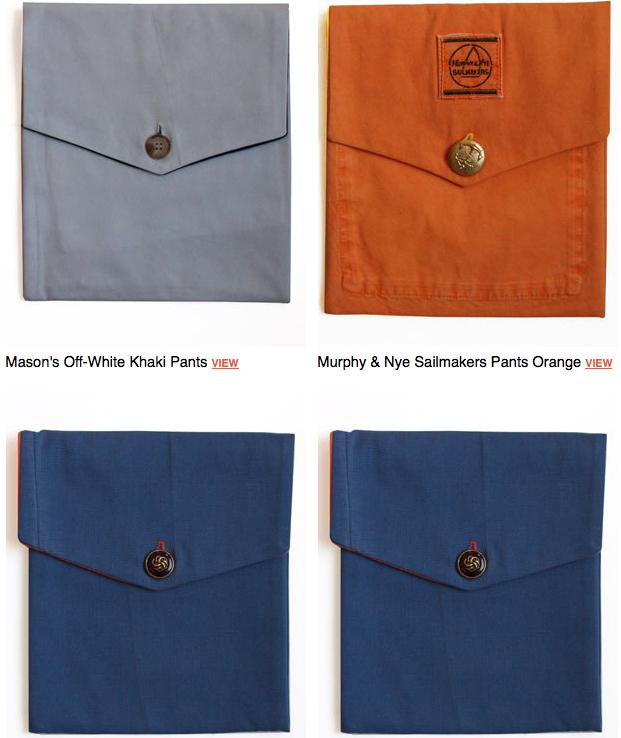 He then set about creating a range of stylish iPad cases priced at between $250 and $500. The entrepreneur made his first iPad cases from Madoff’s navy blue Christian Dior sweater and Bergdorf Goodman cardigan. They sold fast to a Wall Street lawyer who wanted to give them as Christmas presents, Vaccaro told the NY Post. Vaccaro sells the cases through the website of his company, Frederick James. They’d already been making iPad cases from cashmere, so when he heard that Madoff’s wardrobe was about to go under the hammer, that entrepreneurial spirit kicked in. After bagging all 16 pairs of Madoff’s 35- and 36-inch-waist pants (Polo Ralph Lauren and Murphy & Nye among others), Vaccaro wanted to make sure the convicted felon had left nothing behind. “First I searched all the pockets to see if there were any $100 bills inside,” he said. Following his admission that he’d defrauded thousands of investors in a Ponzi scheme, Madoff was sentenced to 150 years in prison in 2009. His pants, on the other hand, appear to have fared slightly better.